Reigning Sporting Speaker of the Year, and cricket funny man, Geoff Miller OBE is to host a special sporting lunch in Bury St Edmunds. Miller, one of the most respected figures in English cricket, will be guest speaker at the lunch which takes place on Friday 27th October at The Athenaeum. 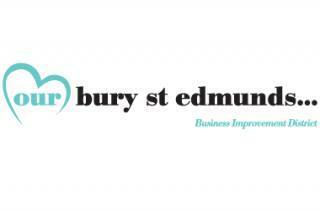 The event has been organised as part of this year’s Bury St Edmunds Festival of Sport and will raise money for the SportsAid in Suffolk. SportsAid is a national charity which helps aspiring sportsmen and women achieve their sporting dreams. Known for his brilliant comic timing and numerous tales from his playing days, Miller was a county cricketer with Derbyshire and Essex, a test match cricketer with England and a former chief national selector. During his 5 years as national selector he oversaw an incredible run of three successive Ashes victories and took England to the pinnacle of the world Test rankings. The lunch has been made possible through sponsorship from Abbeycroft Leisure and Lovewell Blake and support from Our Bury St Edmunds. SportsAid has supported many of Suffolk’s top sporting stars on their road to success including West Suffolk’s World Junior Race Walking Champion Callum Wilkinson and 2014 Commonwealth Games Double Gold Medalist Chris Walker-Hebborn. Every penny raised in Suffolk is spent on supporting sportsmen and women from the county. Further details, and a booking form, are available from SportsAid Eastern trustee Adam Baker at adam.baker@suffolk.gov.uk or 07894 598296. Tickets cost £30 per head or £240 for a table of 8.